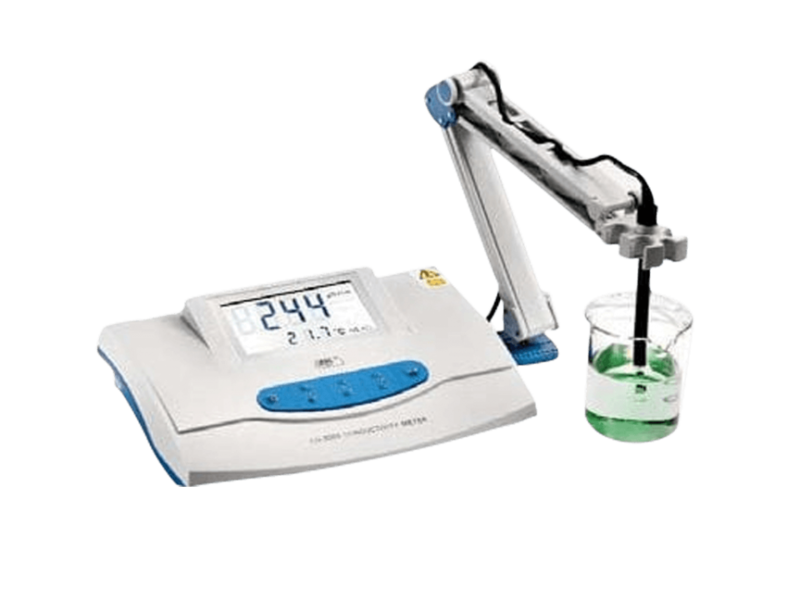 To measure the acidity of a solution, otherwise known as the pH value, a pH meter is used. This device measures the hydrogen-ion activity in water-based solutions. The meter measures the difference in electrical potential between a reference electrode and a pH electrode. This difference is referred to as pH. The available pH meters can be equipped either with or without automatic temperature compensation and have a range from 1 till 14pH with an accuracy of 0.01. 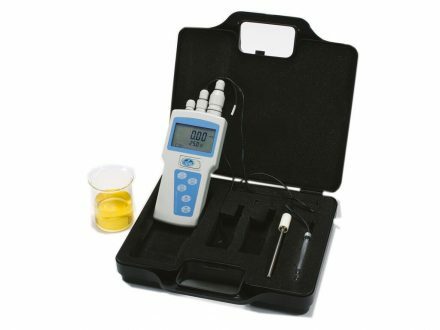 The Digital pH-meter ‘pH-2006’ measures pH in water-based solutions. This bench top model has a large graphic touchscreen. 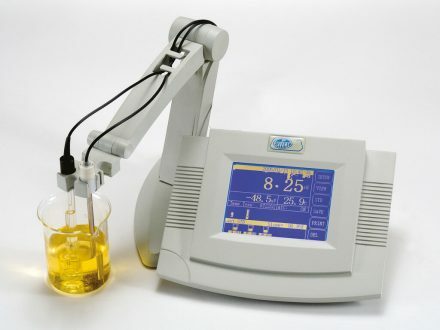 The Digital pH-meter ‘pH-2005’ measures pH in water-based solutions and is a bench top model with a large screen. The Digital pH-meter ‘pH 2003’ is a portable meter and measures pH in water-based solutions. It has a range of 0 to 14pH. 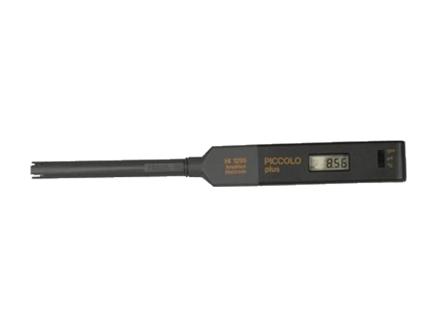 The HANNA Piccolo plus is a handheld pH-meter with a range of 0 to 14pH and a resolution of 0.01.